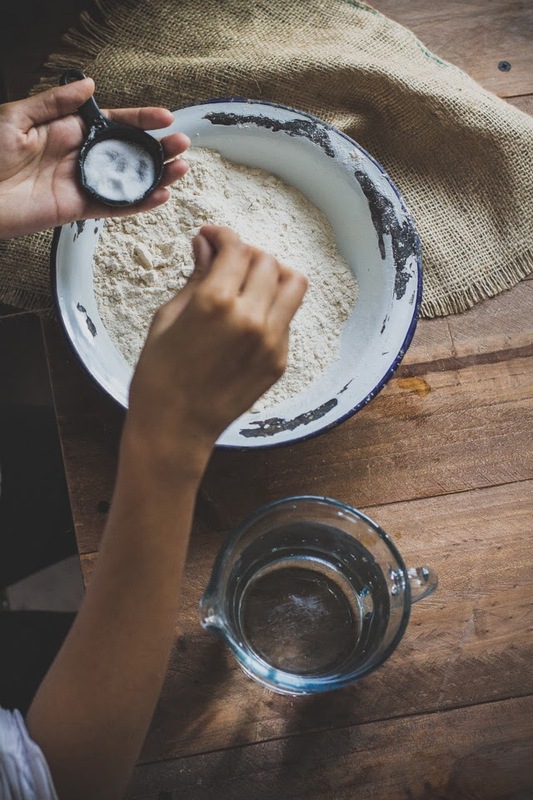 On the weekends, I would often wake up late to the sound of Ammi saying utho roti banao which meant 'wake up and make some bread'. I would lazily get out of bed, excited about getting fresh hot, ghee crisped roti drizzled with honey and thick cream to go with my chai, not as much about making roti. Naan seems to be the popular flatbread outside India but back home naan is seldom eaten on daily basis and often limited to restaurants. 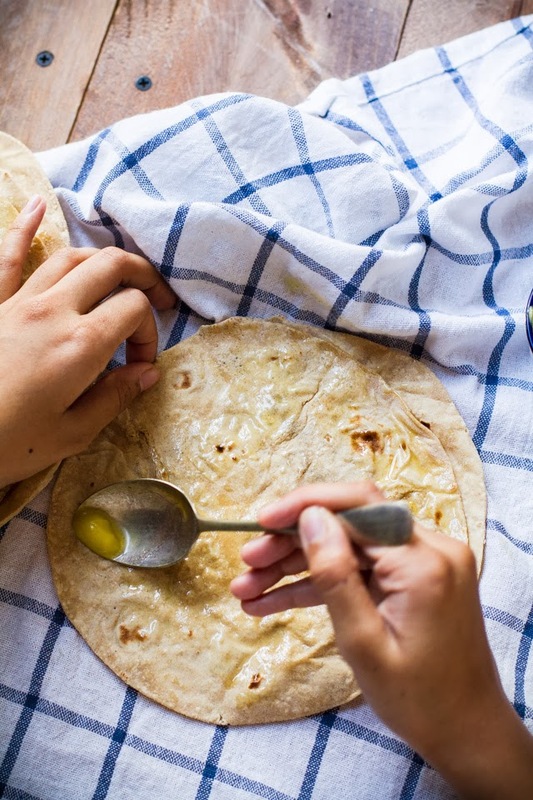 In most North Indian homes, roti is the first thing to be made in the mornings. 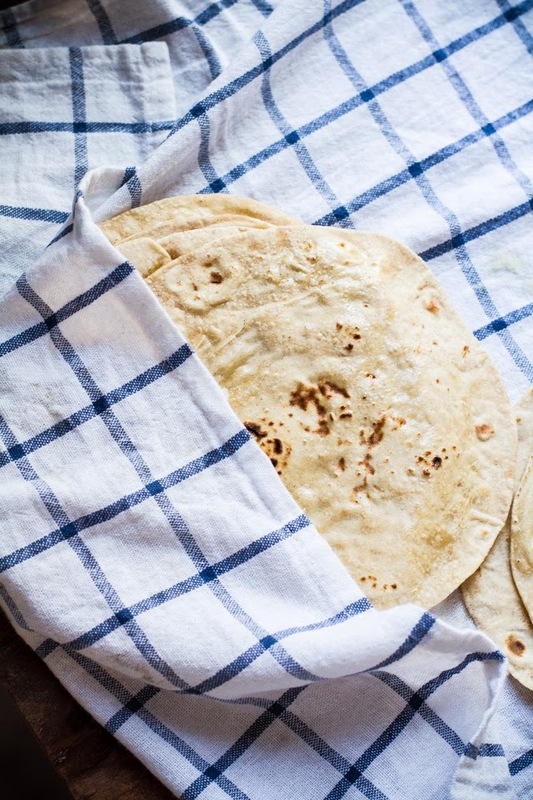 This unleavened flatbread is soft, light, wholesome and easiest to wrap around any morsel of food. 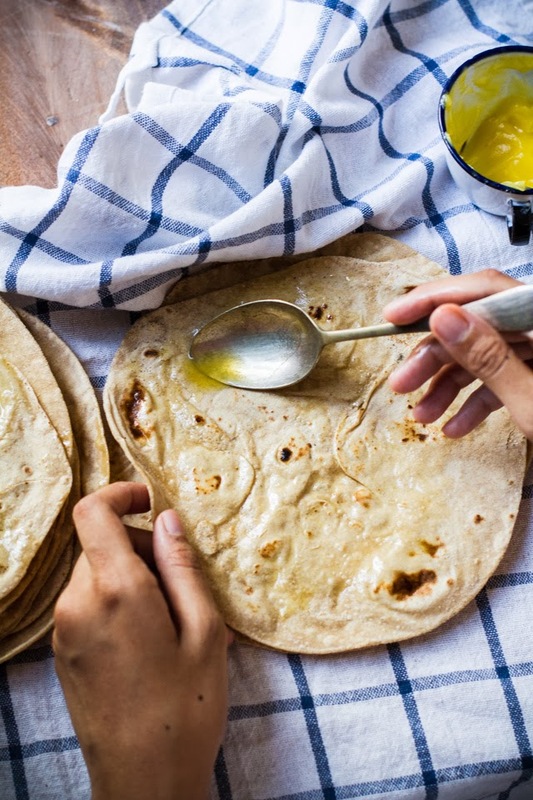 The dough - a basic mix of flour and water when kneaded to different hardness and cooked differently (baked in tandoor, deep fried, layered) creates a unique bread, each one has it's own merit and combination with certain foods, but it is safe to say that a chapati pairs well with everything! If not with curries, it is equally good with a good old lemon pickle, chutney or with honey. It all starts with good quality durum wheat atta. 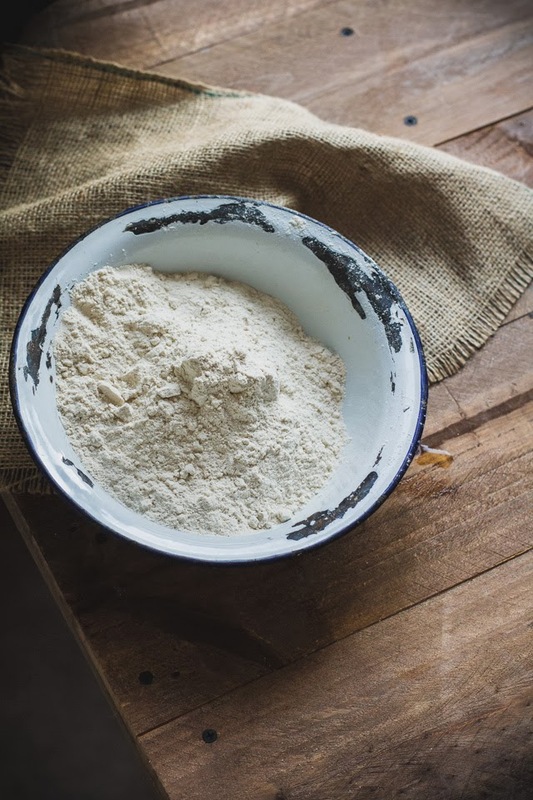 Though whole grain wheat flour can be used, the end results tends to be slightly chewy and seems to dry out faster as opposed to fine durum wheat flour. Mix in salt into the flour. A little warm water makes kneading easier and dough softer but room temperature works fine as well. 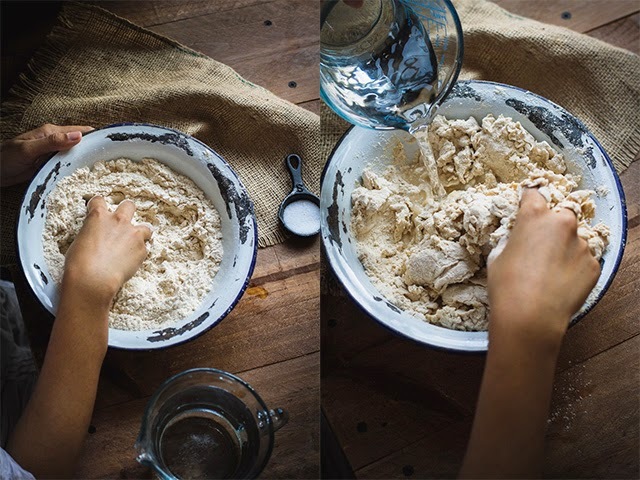 Mix the flour with your fingers in circular motion adding little water at a time. First, they start off looking like coarse sand. A little more water and it slowly starts coming together in a ball. 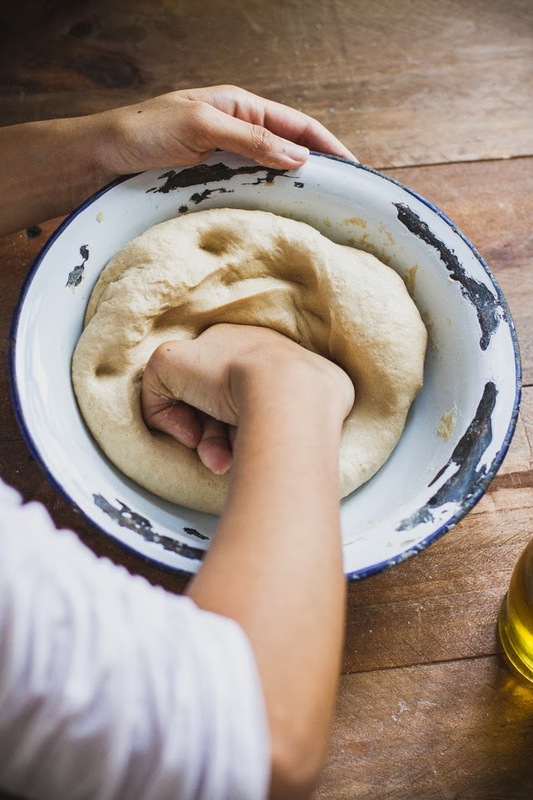 Once it comes together, knead the dough with your fist and knuckles till it is soft for around 10 minutes. 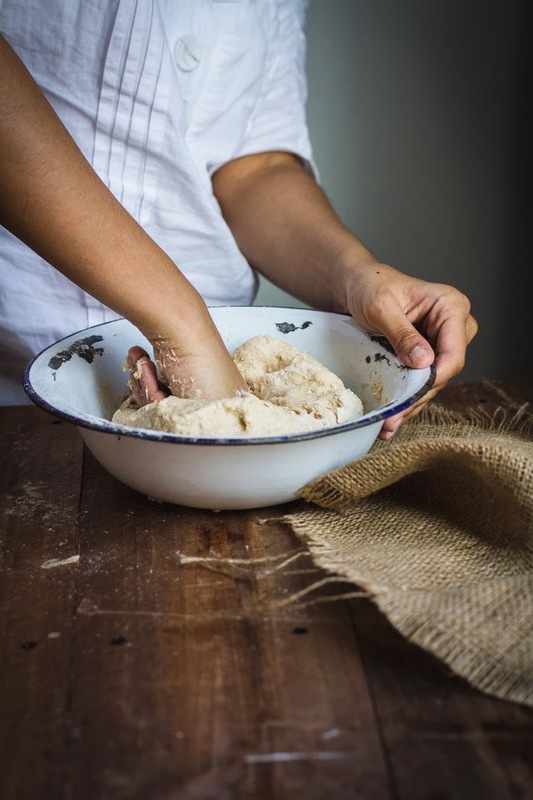 Get most of the dough off you hands while kneading. 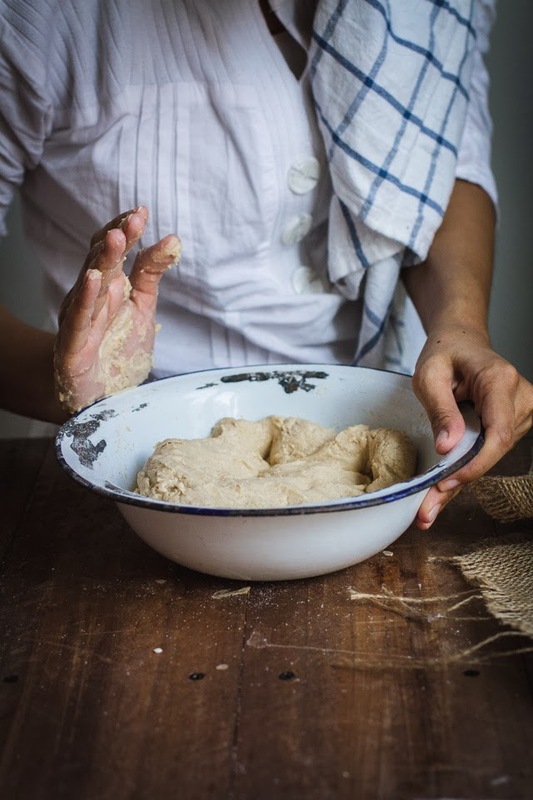 Ammi says a good dough is when the bowl and hands are as clean as washed. Well, let's try at least? The dough might look uneven and tiny bit sticky but that's okay. Cover it with a cloth and let it rest for 15-20 minutes. I find that to be a good time, anything more and the dough looses moisture. 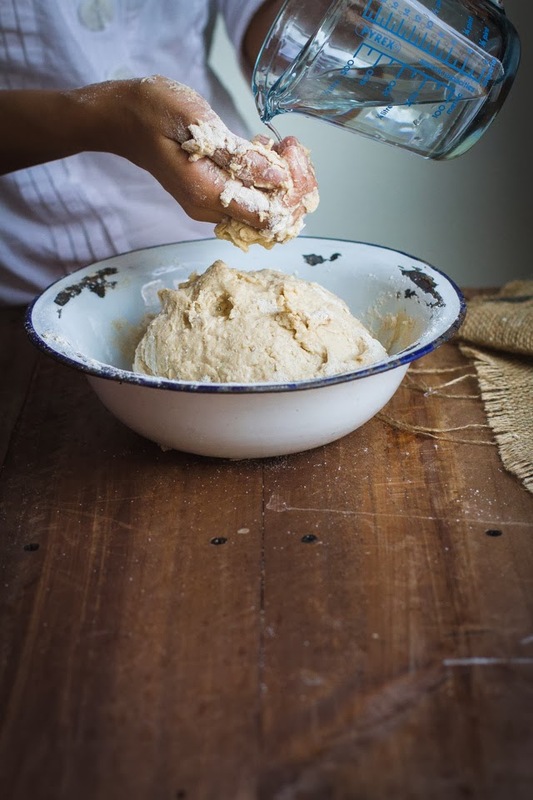 Moisten your hands with some oil or ghee and knead the dough for another 5 minutes. 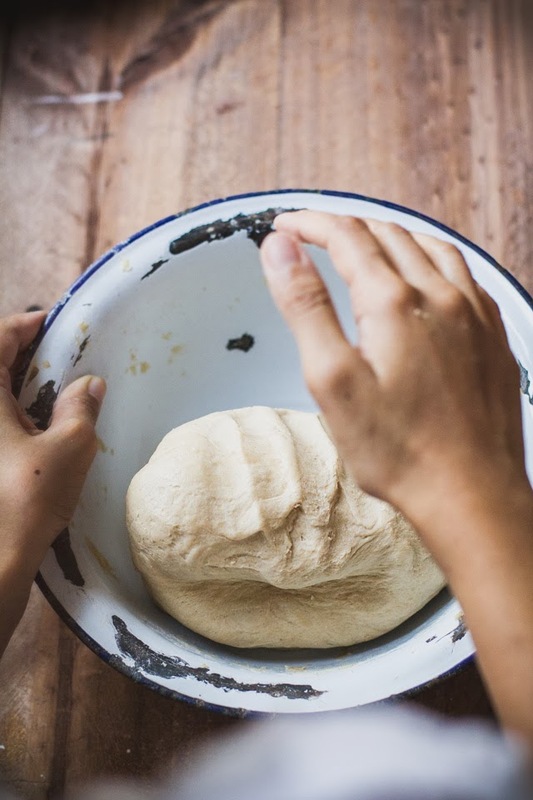 It turns into a smooth, supple dough. Roll the dough into a log and cut 10 equal size discs. Flatten one lightly and drench it in flour on both sides. 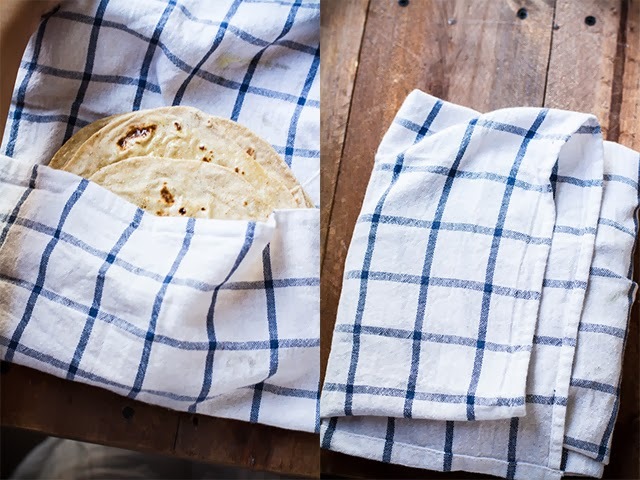 Keep the remaining balls covered with a damp cloth while you make the chapatis. Start rolling them with a light hand from inside out. As a beginner, your shapes might be everything but a round but don't be defeated, a little practise and you shall get there. 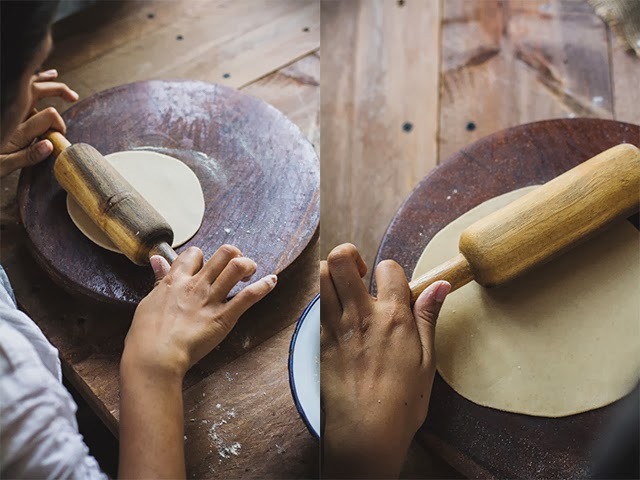 Ideally, your hand should be light enough and surface floured well for the roti to roll on its own into a circle without you having to twist or turn but for beginners it might be easier to just pick it up every now and then. Heat the griddle/tawa to medium low and place chapati on it. Within 10 seconds flip to another side and increase the flame to medium high. 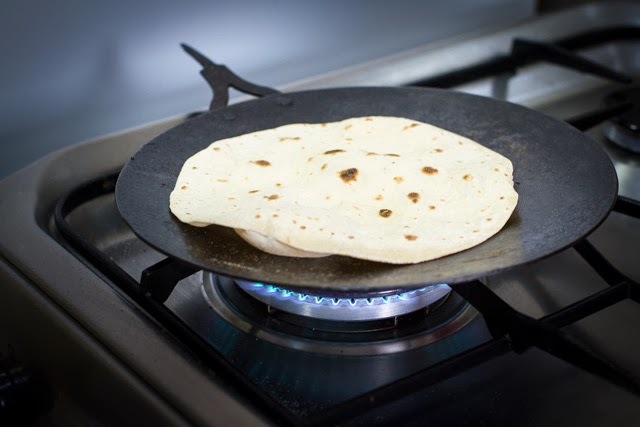 Let it cook for a minute rotating the chapati every few seconds to ensure all the sides get cooked evenly. Once you see there are brown spots on the under side, flip it over. Once flipped (as above), air will start filling up. You want to lightly press down with a dry towel on the areas filling up so as to encourage the air to pass through the entire roti. If there is any tear or hole, press the towel on it so the air doesn't escape. The air or the puff ensures that the bread is light and soft but even if it doesn't puff up entirely, it is going to be delicious. 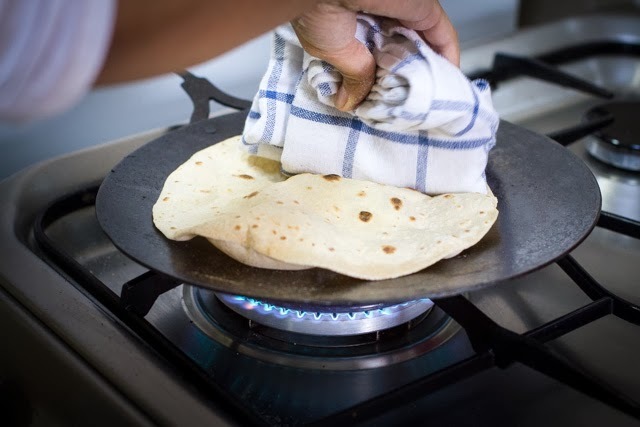 Once the whole roti puffs up take it off stove. Again reduce the heat to medium low and continue making the remaining chapattis. 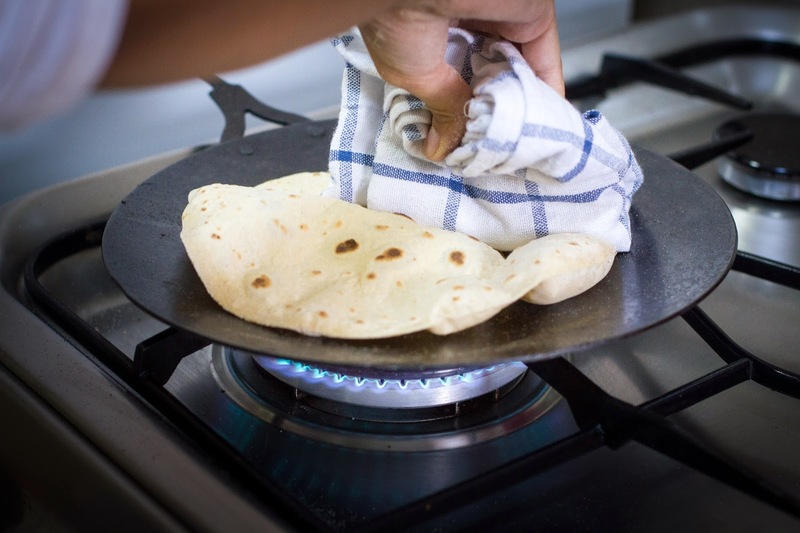 In the last stage of flipping, you could also place the roti directly over the gas flame for quicker puffing. This of course doesn't work with electric stoves and I find it inconvenient on modern stoves anyway. Once all the chapatis are ready, quickly brush some ghee on each one of them. You can skip this if you want to avoid the extra fat but ghee makes the world a better place. Usually fresh puffed roti without ghee is referred to as phulka which means one that has puffed. Line the container (any container that retains heat for longer time) with a large cloth towel. As you cook chapati put them in the container and cover the ends of the cloth. Continue doing it till all the chapatis are made and then give it a final covering of the cloth. Cover with lid. Serve hot. The size and thickness of the chapati varies not only from region to region but also from one home to another. We like our chapatis thinner and rolled around 7inch in diameter. 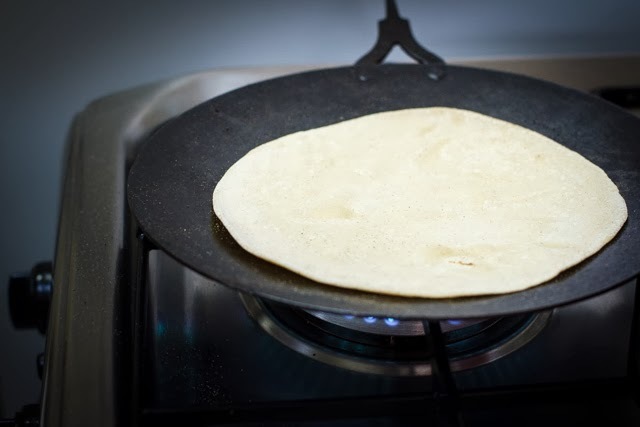 If it is your first time, it is easier to roll a thicker chapati at around 6 inches in diameter. 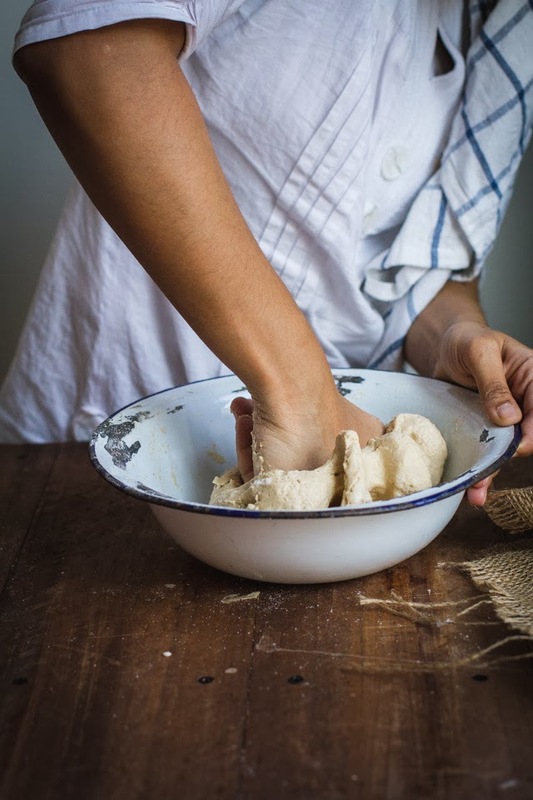 Get most of the dough off you hands while kneading. The dough might look uneven and tiny bit sticky but that's okay. Roll the dough into a log and cut 10 equal size balls. Flatten one lightly and drench it in flour on both sides. Keep the remaining balls covered with a damp cloth while you make the chapatis. 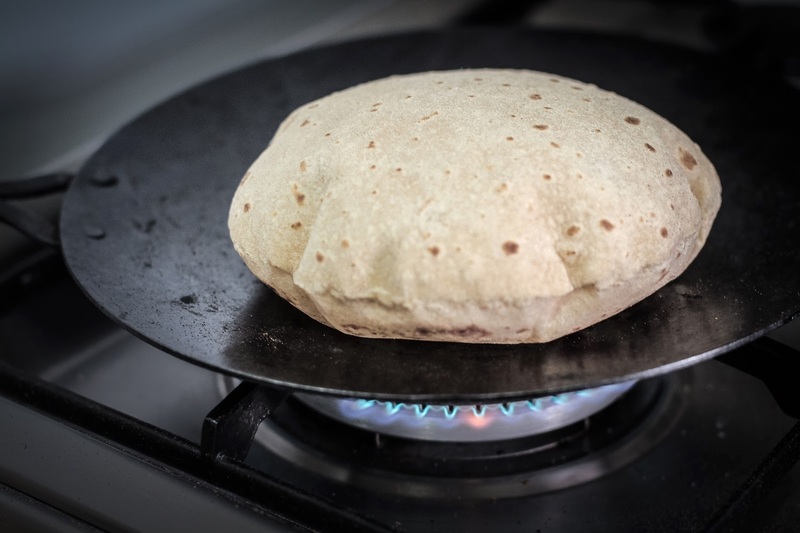 Once the whole roti puffs up take it off stove. Again reduce the heat to medium low and continue making the chapati. Once all the chapatis are ready, quickly brush some ghee on each one of them. You can skip this if you want to avoid the extra fat but ghee makes the world a better place. Line the container (any container that retains heat for longer time) with a large cloth towel. As you cook chapatis put them in the container and cover the ends of the cloth. Continue doing it till all the chapatis are made and then give it a final covering of the cloth. Cover with lid. 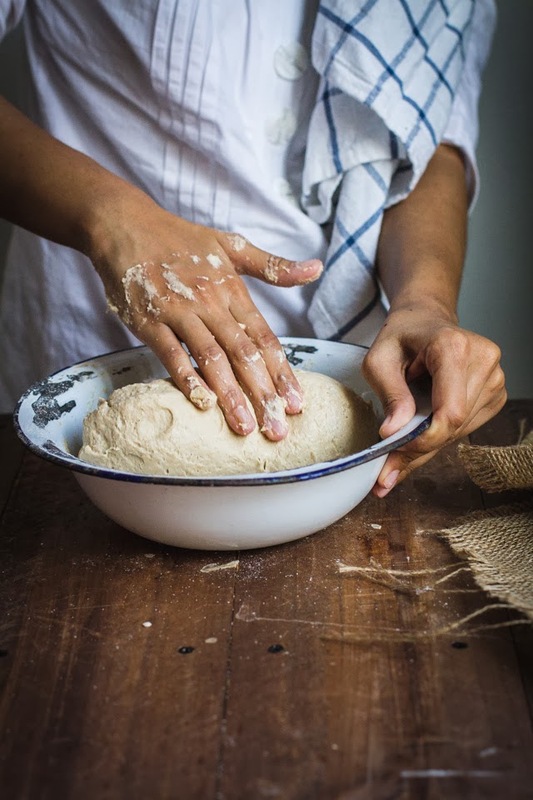 With practice you will figure out how your dough acts. 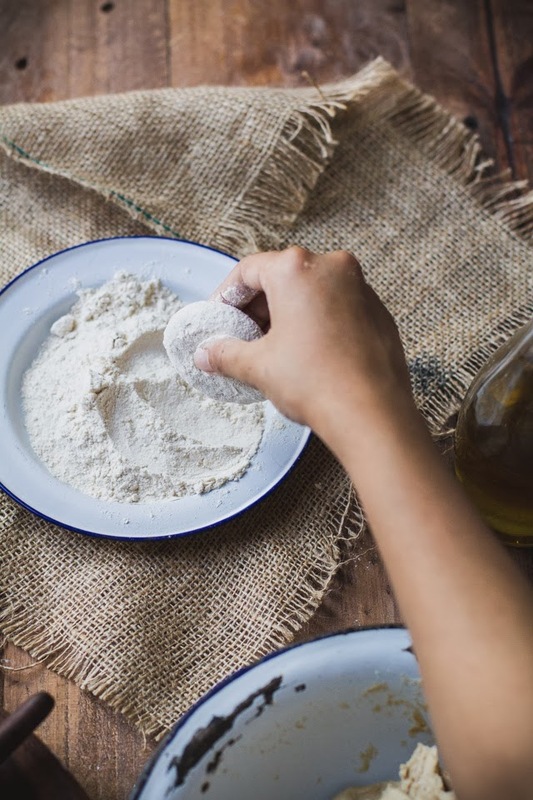 That is depending on the quality of flour, sometimes you may have to add a tsp or two of oil or ghee to keep it from drying. 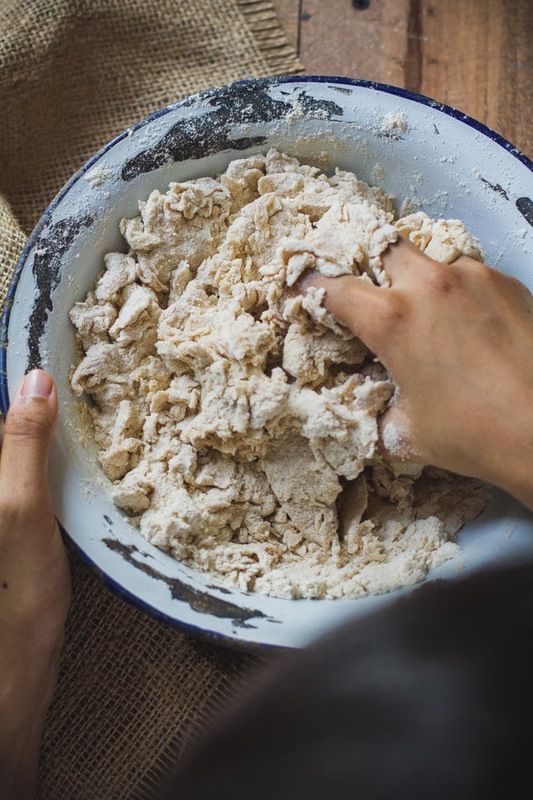 Using half milk instead of water for kneading also creates softer chapatis. 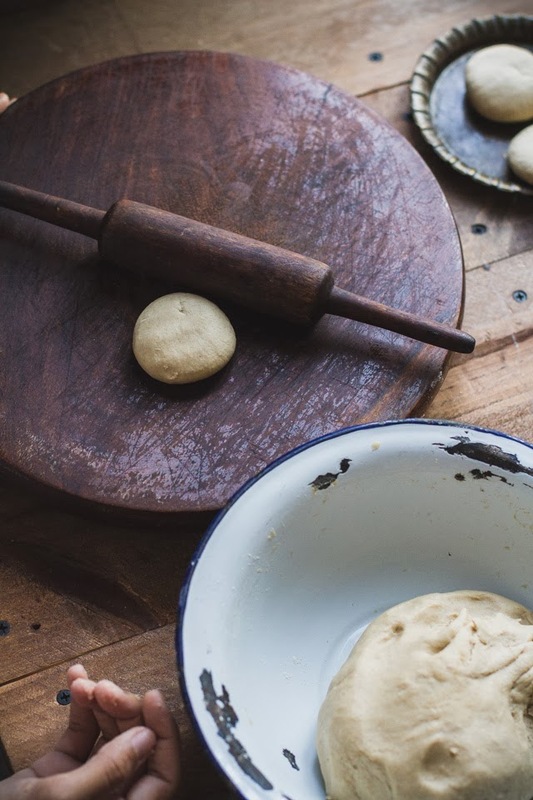 While freshly made dough yield the best rotis, keeping leftover dough in the fridge for a day won't hurt much. 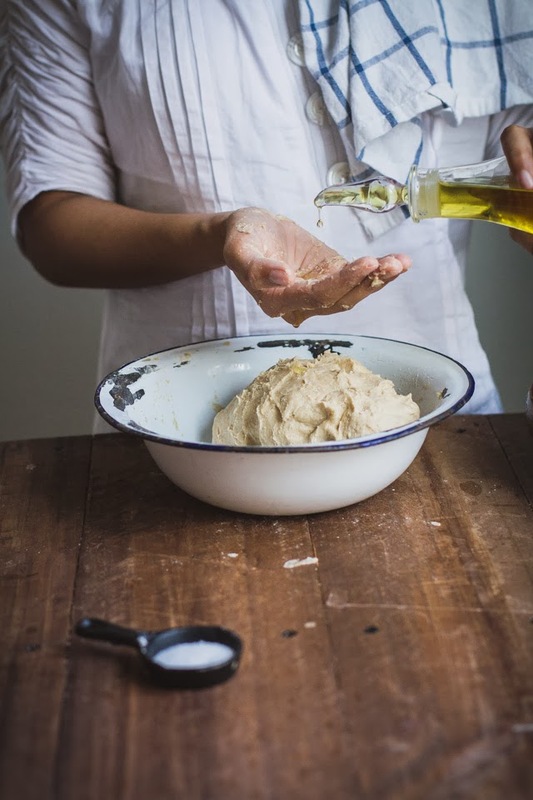 Just make sure to knead the dough for a minute or two with a bit of oil. Beautiful flatbreads and post! I love your griddle. 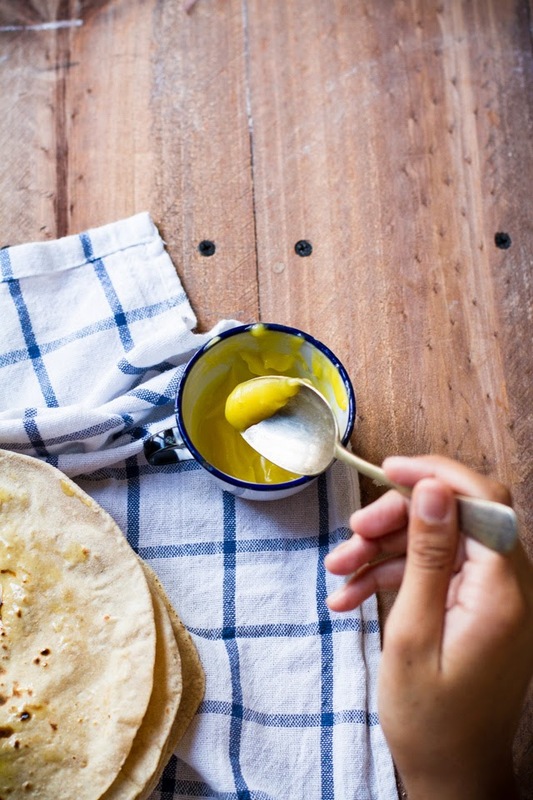 I love roti so much, and this recipe is PERFECT! Lovely photos too! and then when some one makes you such perfect rotis.. put a lil ghee and then a sprinkle of sugar and then roll it up.. happy days!!! you are a child all over again! I love your step by step instructions! Such a beautiful post and stunning pictures! Beautiful post. Simple recipe and although this might sound a bit crazy but this is one of the hardest things for me to make. Pinning it... reminds me of your post - how to make Paneer! 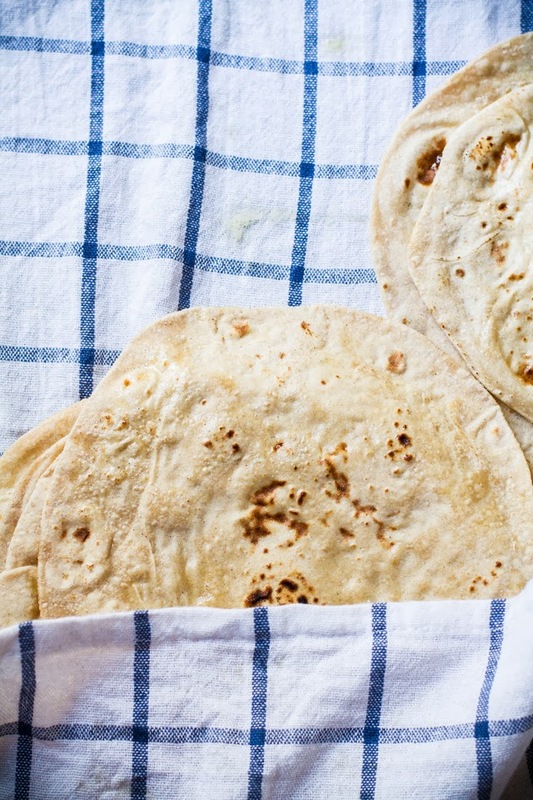 I'm a big flatbread fan and I'm definitely going to try this recipe soon! I made my own tortilla's from scratch today, they were delicious. Next up are these little balls of yummy! I love the step by step photos Kulsum. I love Indian flatbread, and rarely make it at home, but next time I do I will follow your tutorial. What an amazing tutorial for this wonderfully delicious flatbread! I can't wait to give it a try. You make it look so easy. Thank you! I love your blog. Every post is beautiful, and this one so nurturing. Thank you. Kulsum, I love all the hand shots, absolutely beautiful! Finally I am able to see this gorgeous post! Love the step by step, and rotis turned out beautifully- you make even simple thing look beautiful Kulsum! you are kind dear Jehanne. These photos are really really beautiful! I love indian bread. You make it look so easy! I'm not much of a bread maker, but I might give this a whirl. 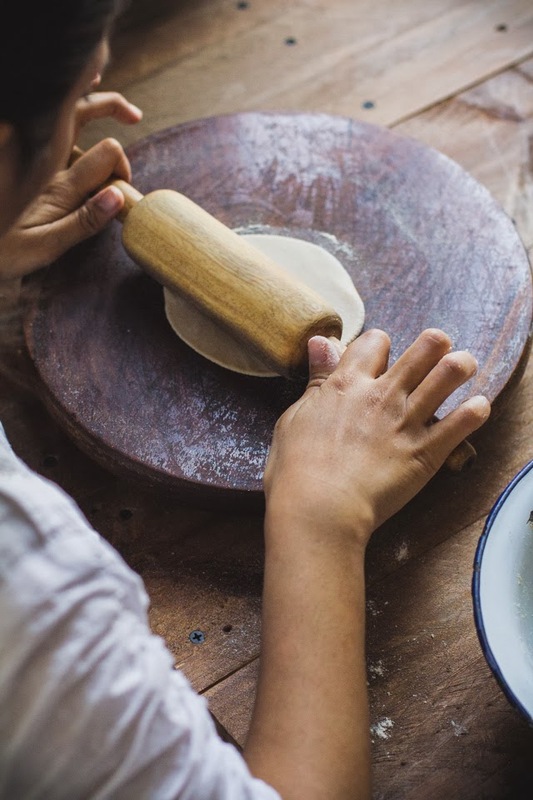 Love the flow of making Rotis from the scratch K.....never imagined one can make the humble job of roti making look like and art! this is an amazing post Kulsum!! I love rotis and make them with every indian meal i cook and even others. Love the step by step photos. They are fantastic and very instructive. Wow, so much hard work you put in those shots! I don't add salt unless its a poori dough and yes resting is such an imp step. I m not much of a rice person so roti making is a daily grind for me too! 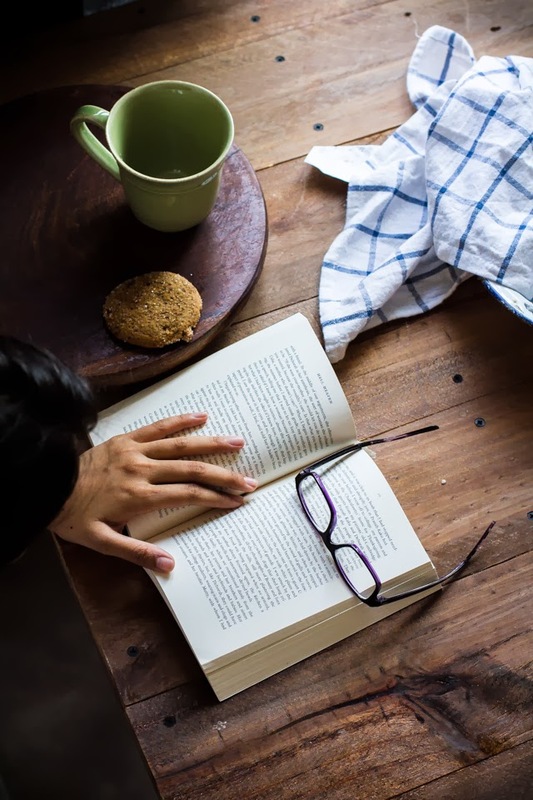 I like stale roti with my chai - slathered with ghee,salt, mirchi & chopped onions - we used to call it 'chugga' (such a funny name).Thanks for reminding me of those days. Beautiful post! oh crisped roti with red chilly and salt is my favourite! We always add salt to flour and mom calls it 'sakkan' which perhaps means to bring good luck. 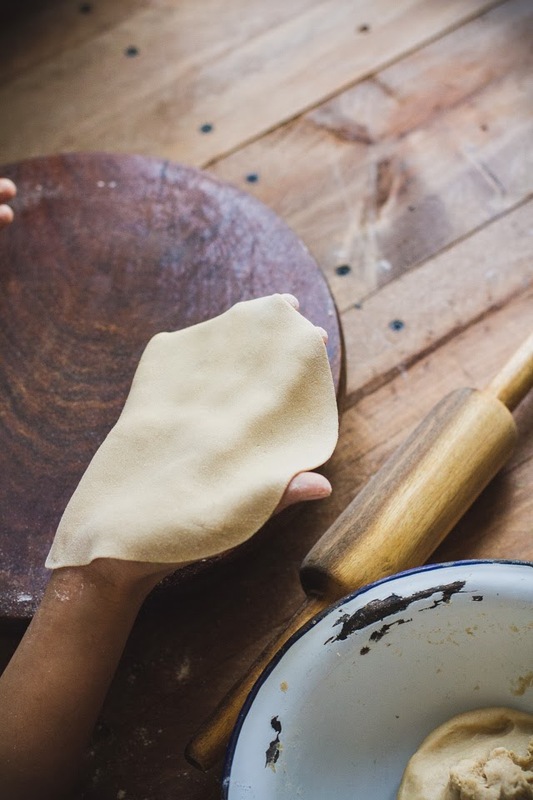 Beautiful post - you do a lovely job of expressing the significance of roti to your culture and family tradition, turning it into a labor full of love and sacred ritual. I so enjoy browsing your blog! I have a quick question: I'd like to make these earlier in the day to serve later with dinner. Do you have any suggestions as to how to keep them fresh tasting? Is there a preferred method to re-warm them without making them tough? Thank you! hi Renee. I usually make rotis 2-3 hours before the meal though the most preferred would be right off the griddle. Anyway, so in summers I don't even bother reheating them but when I have to, I just lightly turn them once or twice on hot griddle until warm (about 20-30 secs) . Hope that helps. Hello again! I made these with our Indian meal the other night. I simply could not get them to puff up. Some of them would start to, while others just remained flat. I think perhaps it is my lack of durham wheat flour? I couldn't find any at my local markets, so I just used the all purpose I had in my cupboard. They turned out delicious nonetheless, but I can't help feeling they would have been more so had I been able to get them to puff. : ) Any suggestions? Beautiful post. I'm wondering if you can use spelt flour? 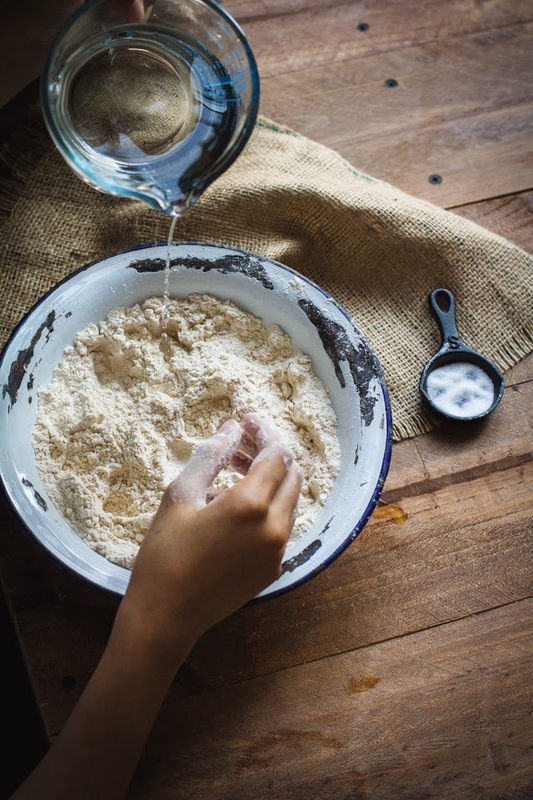 I have seen people using spelt flour though I haven't tried it myself. Please let us know if you try it. Wow!!! I have tried making chapathi' following so many recipes, I must say , your recipe is the best I have seen. I followed every step and yes, they turned out " PERFECT". I just stumbled upon this recipe and I am so glad I did. I think the resting of the dough and the puffing is very important. And yes using a cloth to cover is very good to retain the steam, so they are soft. Thankyou for sharing your recipe and the photographs are awesome. You have taken so much trouble. It is worth it. so glad! Thank you for the feedback. Hello - have you ever made this with western branded Whole Wheat Flour? Pillsbury or Trader Joes whole wheat? I'm wondering of this works as well as Atta. Thank you! Hi there! Yes, the recipes works with whole wheat flour except it is slightly denser and dries faster than durum wheat but that's because I compare it with durum. I know many people who use whole wheat anyway. Hope that helps. Thankyou so much for a very detailed tutorial. I made my first batch of roti today, and eventually was able to get the bread to the puffy stage. It took a few tries, but even the non-puffed bread worked out fine. A kind lady from work gave me some atta to use, and that stuff is amazing! 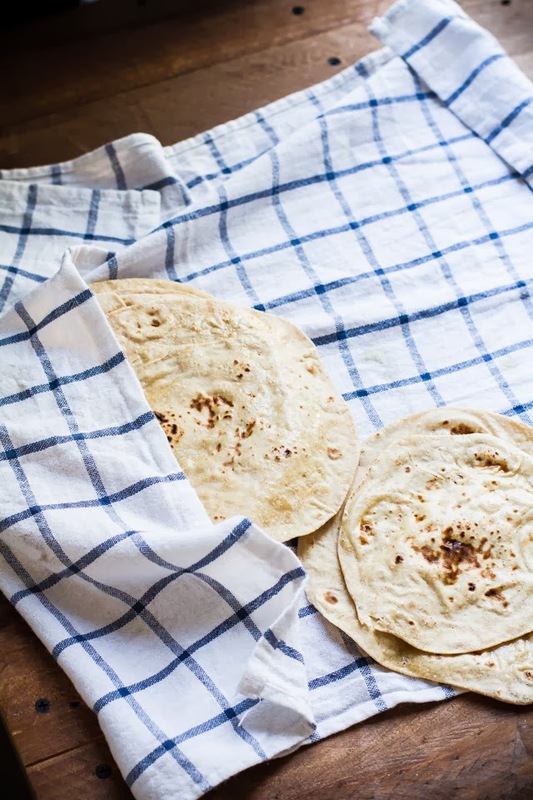 All I need to do is find where to buy some more, as the roti will replace the store-bought wraps that my husband and I eat with soups for lunch. 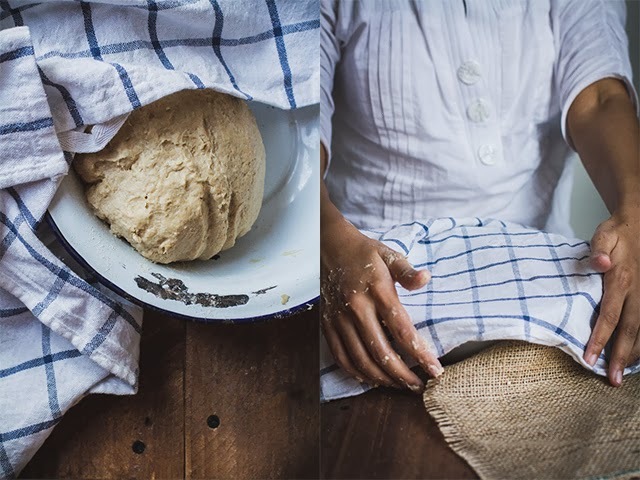 I have shared your tutorial with friends, so I daresay that they will be making roti too! Amazing... want to eat these every day. Kulsum what a lovely post of simple Roti. Love the pics. Very detailed! A wide frying pan should work perfectly well too. We have a friend visiting from India and I am going to make these for him. Thanks for the detailed instructions. Fingers crossed they turn out! 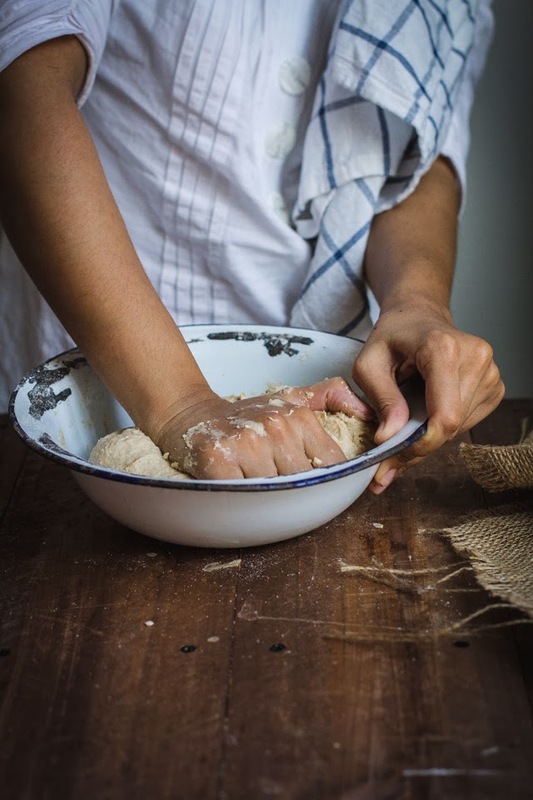 When i knead the dough with oil ,it becomes sticky and hard to roll the roti.What can i do for that? Hi, I have failed making proper roti for two times already. I wanted to try this recipe but could you tell me how much gram or ml atta flour or water I need, instead of cups? So sorry, a beginner here. Thanks you..
woww..nice recipe...and nice blog too..Presentation is also good..I tried it out with Surabhi Atta...It came out really good..My husband really liked it very much..Healthy Whole Wheat Atta will makes this recipe a grand success.. I made these last night with my recipe for Palak Chicken. Your directions made it easy and they came out perfectly! My kids and husband raved about them. Thanks!